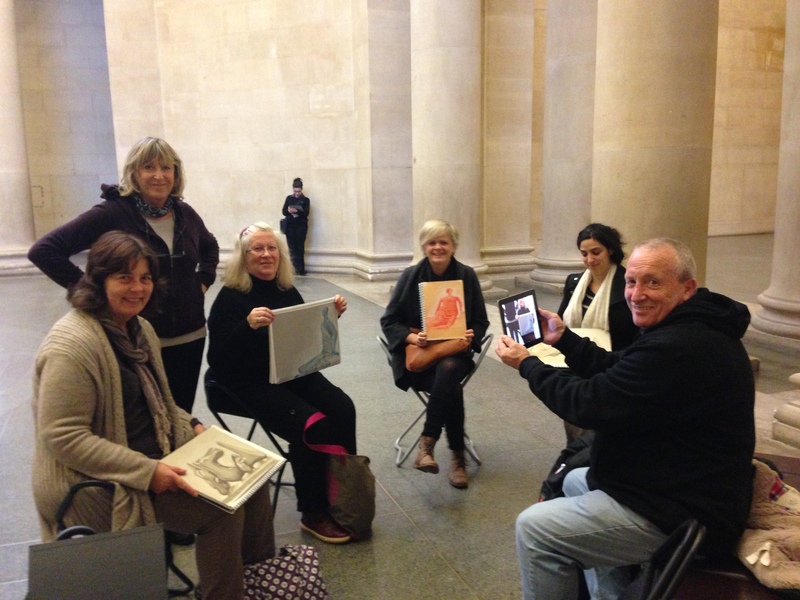 A new one day Drawing Workshop with Sketchout at Tate Britain London. Reiterating and expanding the principles of the “Fundamentals of Drawing” workshop, Sketchouts’ new ‘The Fundamentals Part 2’ drawing lessons focus on helping to improve your observation of line and tone by showing you techniques for breaking down and understanding what you see. 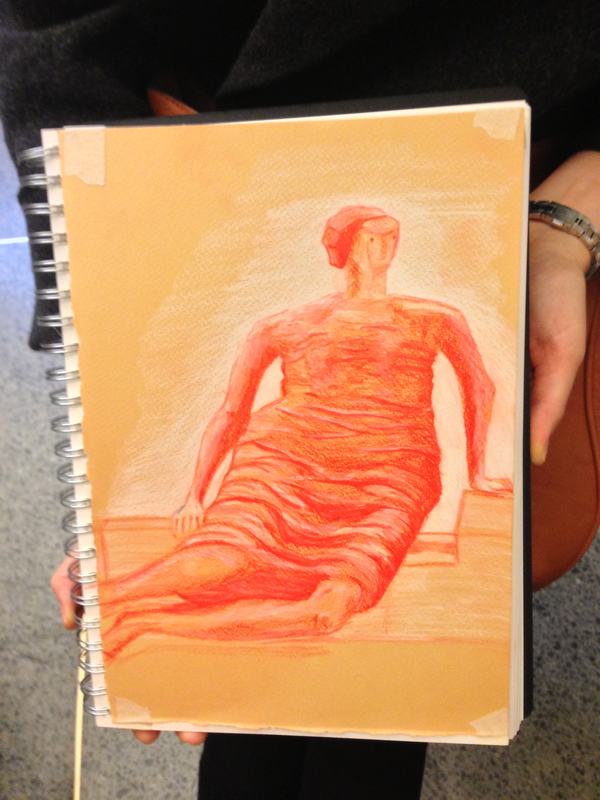 You’ll produce powerful drawings that really leap off the page, all inspired by the Tate Britain artwork. Designed as a follow up course (to part 1, drawing lessons for beginners) which are held at the Victoria & Albert museum, this course will introduce you to different techniques and materials to help you deepen your understanding of line and tone. 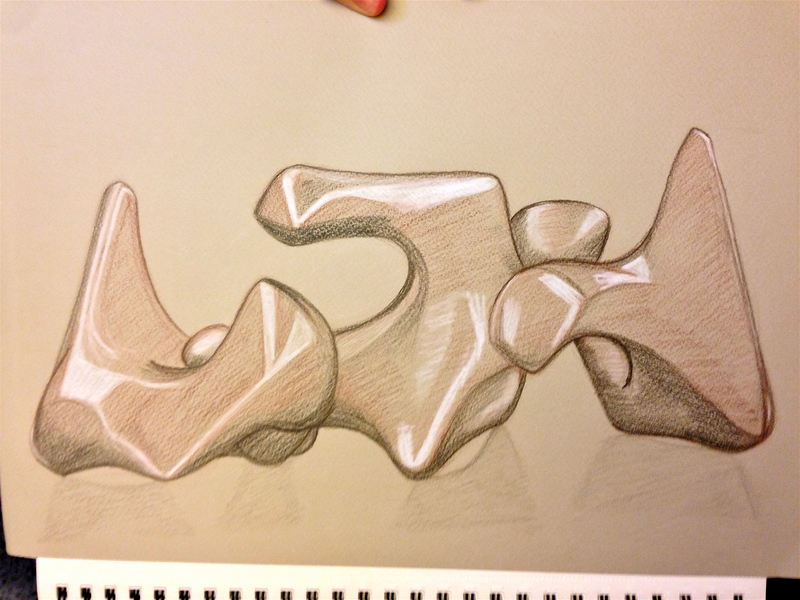 You will then be able to give the forms that you draw, real depth and definition. Though this course is designed as a follow on course it is not a pre requisite that you have attended “The Fundamentals of Drawing” at the V & A . Full explanation of how to see line and shade will be given and the majority of tuition that you receive on this (and any) Sketchout course will be one to one, ensuring that it can be tailored to your level of ability even if you are a complete beginner. This course is also great for people who may have some experience in drawing but want to deepen their understanding and expand their knowledge of technique and material. The aim being to have a sketchbook that is no longer just full of monotone pencil drawings! The day begins with an introductory talk explaining the techniques and materials we will be using (coloured paper, graphite, erasers, coloured and white pencils, water soluble coloured pencils and water brushes). And we’ll reinforce again, the principle thought processes that underpin good observational drawing. By Justyna Rezler using coloured and white pencils on medium tone paper. Drawing on grey paper using coloured and white pencils by Vanessa Jensen. 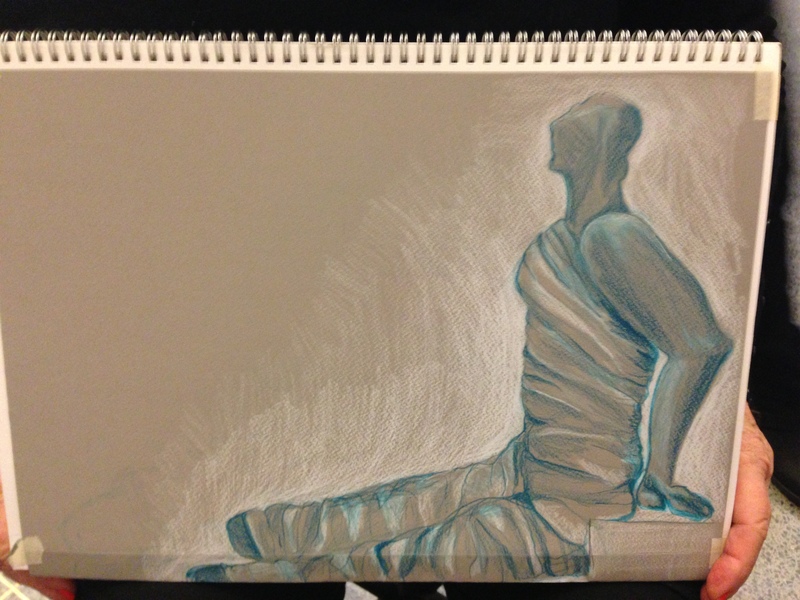 Based on a sculpture by Henry Moore. If you have any questions please call or email Rosa on 07883 068 325 / info@sketchout.net.